The great thing about hot summer afternoons is that when we get home from work, the kitchen is warmer than usual since we don’t start blasting the air conditioning until we get home (and even then, my definition of cold is likely different than yours!). You might be thinking, “and why is this a good thing?”. Two words: softened butter. 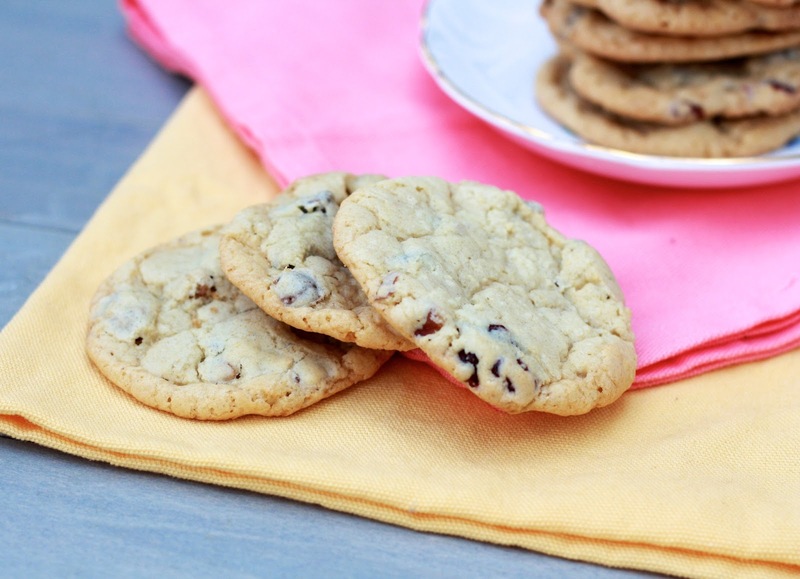 Making cookies is infinitely easier in the summer when you don’t have to wait hours for your butter to soften at room temperature. I can walk in the door, stick some butter on the counter, and by the time I put my stuff away and change my clothes, I’m ready to get baking! 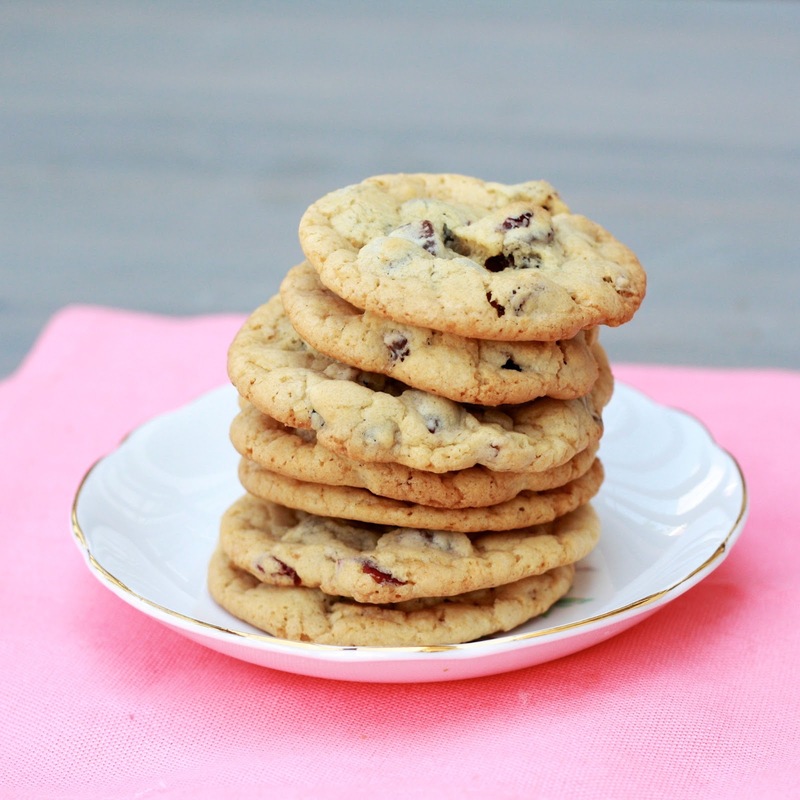 Yes, baking cookies requires turning the oven on, but I’m willing to suffer through a hot kitchen when cookies are this good! Based on my salty chocolate chunk cookies, these include pecans, dried cranberries, and chocolate chips. 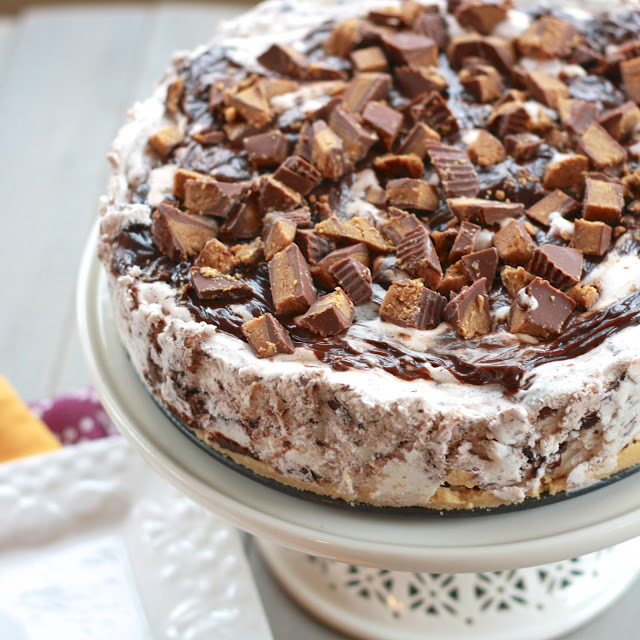 The array of tastes and textures is kind of addicting…don’t say I didn’t warn you! This wasn’t a meal I planned to blog. This wasn’t even a meal I planned to eat. While prepping the pressed pesto, chicken, and roasted vegetable sandwiches, I found myself with extra ingredients and no plans for dinner. 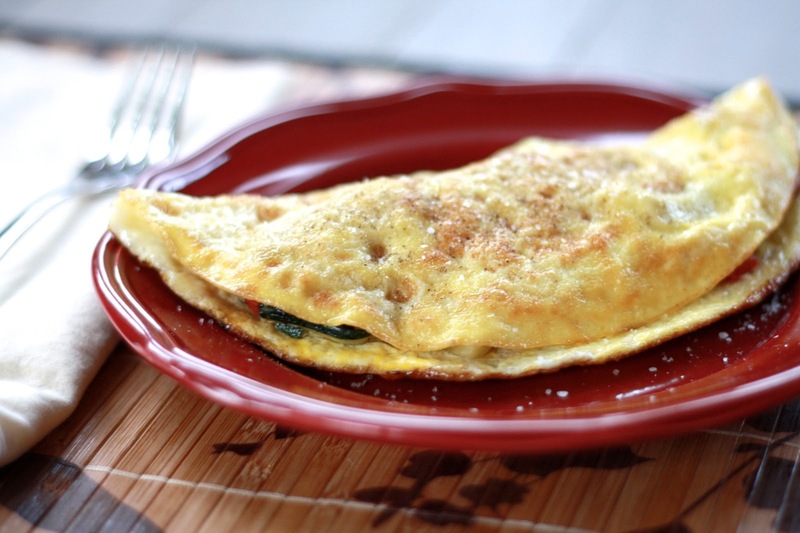 I recently tried my hand at omelets, and ever since then they’ve been my new go-to dinner. When we eat eggs, we eat fried eggs, with the occasional scrambled eggs thrown in there. Omelets were something reserved for hotel or restaurant breakfasts. 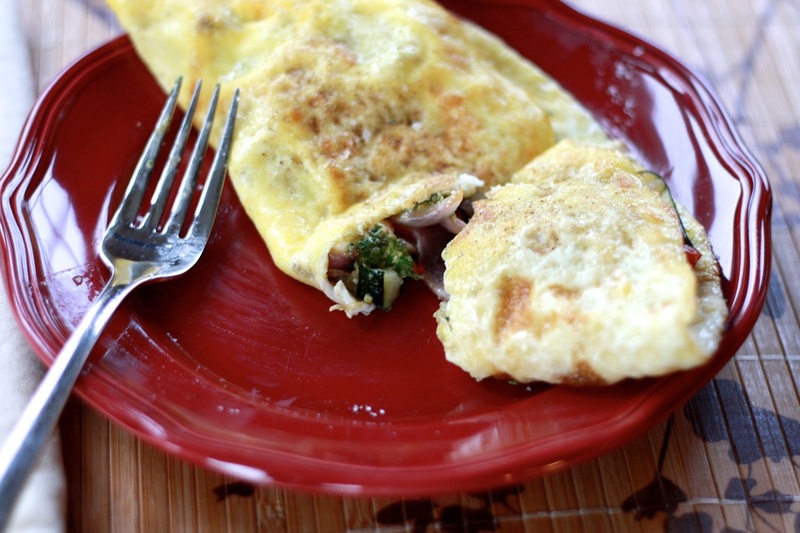 Now that I’ve discovered that omelets are actually easier than scrambled eggs, I am all about them! Apart from their ease, they’re incredibly versatile, meaning you can use up whatever ingredients you have on hand. Last time I stuffed ours full of bacon, spinach, and Mexican-shredded cheese, then topped them with a tomato avocado salad. This time I filled them with pesto, roasted vegetables, and goat cheese. Dare I say they were better than most omelets I order out?! Are you planning on picnicking these summer? If the answer is yes, then I have the sandwich for you! Even if the answer is no, I still have a must-make sandwich for you. These are better than what you’ll buy at your local deli, and that’s a bold statement coming from someone who lives so close to LeGrand’s! 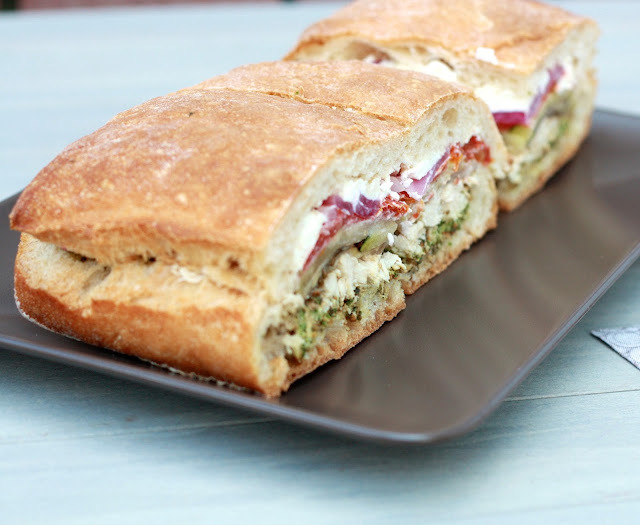 I got the idea from the pressed roasted vegetable sandwiches by Karen at Family Style Food. I started with her recipe as my base, but made it my own, adding chicken, switching out a bunch of the vegetables, and using goat cheese instead of mozzarella. 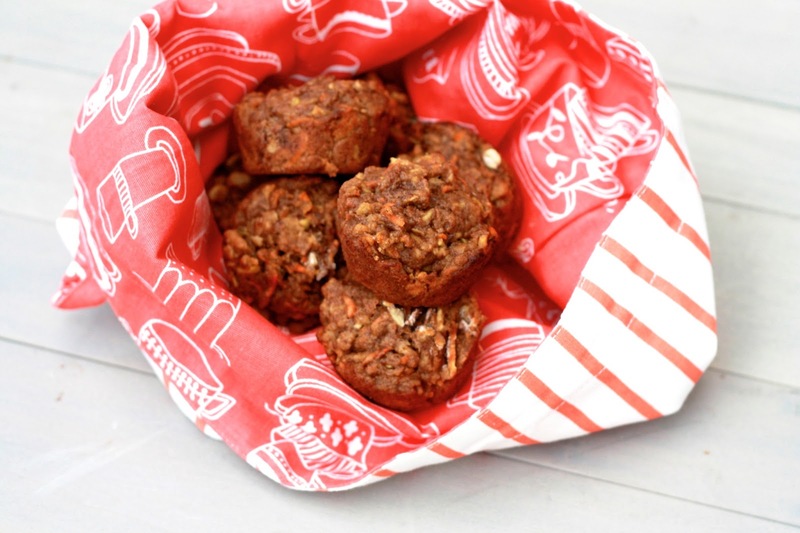 These are best if you let them sit overnight, so stick them in the fridge with something heavy on them to meld and mesh all of those flavors together! We didn’t picnic with these, unless you count road-tripping to Chicago a picnic. That being said, they were way better than stopping at our usual: Subway! Like I did, feel free to get creative, using your favorite combination of meats, vegetables, and cheeses. 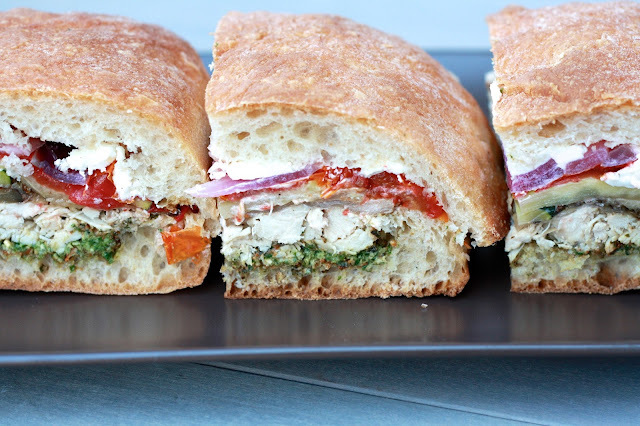 Be sure to get a good ciabatta bread, and make fresh pesto if you can—it’s the best part of the sandwich! The month of July kind of flew by for us. Between a trip to Chicago for the 4th, a weekend visit from my grandparents, work travels to Seattle for me, and then preparing to hit the road for our family vacation in Kiawah Island, South Carolina, it suddenly dawned on me that though we'd had a lot of fun and eaten a lot of good food, we hadn't fulfilled our challenge for the month. Keeping along with the theme of the year, which is hellbent on avoiding rules and going with the flow, we decided to pop into Fozzie's Sandwich Emporium thirty minute before closing one evening. The family owned sandwich shop is teeny tiny, more conducive for taking your food to go. We decided to take advantage of the casual outdoor seating, and enjoyed our food while it was still hot. Fozzie's menu is a bit overwhelming, and I found myself hemming and hawing over what to order. 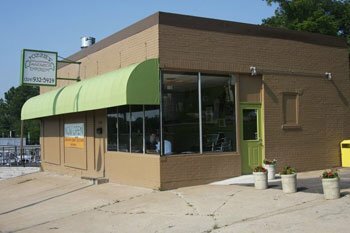 Their extensive menu boasts far more than just the sandwiches in their namesake, and the array of options kept me second-guessing my order. Much as their burgers, salads, hot dogs, and spreads tempted me, I ultimately went with the lamb gyro, but asked for veggies to be added to it (from the veggie gyro). Ryan ordered the black n blue, complete with steak, spinach, blue cheese, and tiger sauce (??) on a hoagie roll. To share, we ordered a regular foz-o-licious shake, which was surprisingly expensive ($4.25) for its small size (pictured above). The foz-o-licious features goat cheese, roasted apples, and caramel. Goat cheese in a milkshakes? Yes and yes. This is quite possibly one of the best shakes I've ever had, and I will absolutely pay the steep price in the future for a few more sips of the combination. 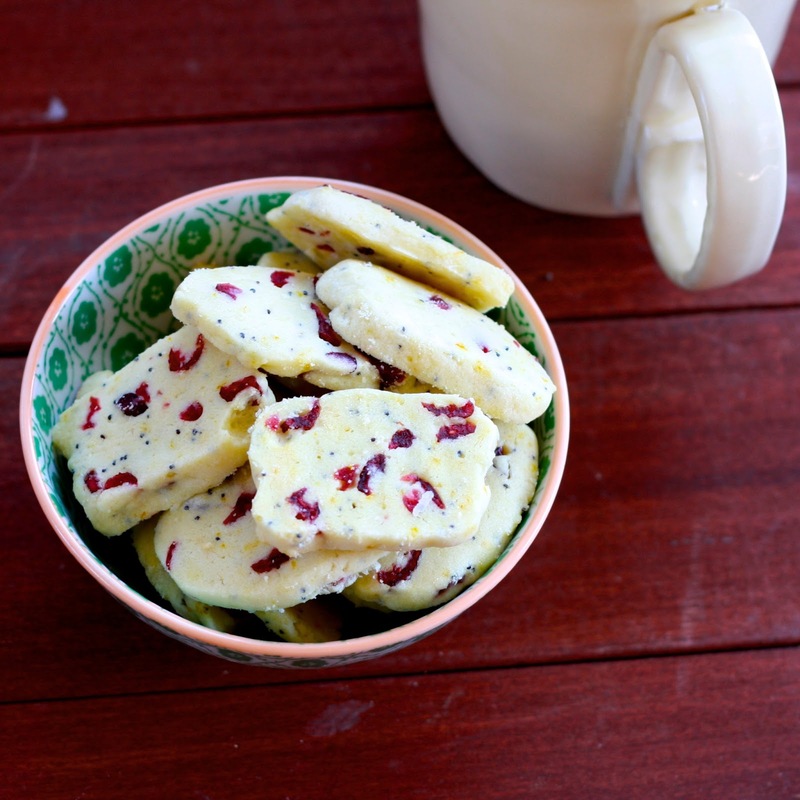 It manages to be sweet and tangy, with chunks of goat cheese, apples, and caramel throughout. Unfortunately the food didn't score quite as high as our shake. Ryan's sandwich was overloaded with the mystery tiger sauce, taking away the flavor from the steak and blue cheese. I liked my gyro, although it's hard to compare to our favorite gyro place, where the lamb meat is slow cooked and thinly sliced. Like Ryan's, mine was overloaded with sauce...so much so that picking it up and eating it was impossible. 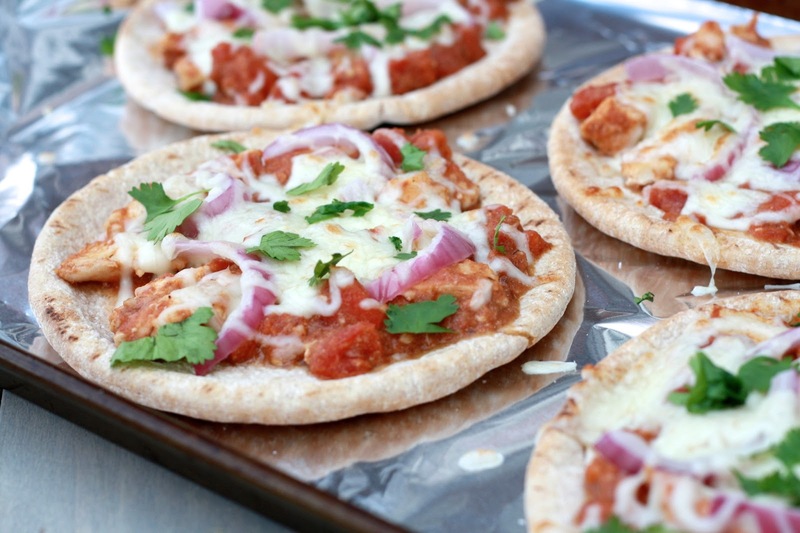 By the time I'd eaten my way to the pita bread, it was too soggy to enjoy. All that being said, we didn't hate our meals. I already have plans to go back, yes for the shake, but also to give some of the other menu items a try! 1. Can we talk about Target for a second? You know, the store that you can't go into without spending less than $50?! I finally bit the bullet and got a Target REDcard. It's essentially a debit card (linked to your bank account), but you get 5% back on every purchase at Target (when you use the card) and free shipping on anything purchased online. Based on my last two (err, huge) trips to Target, it's going to be well worth it. In fact, I think it might be prompting me to get more at Target...which is probably a problem. Why yes, you need four of those shirts and some makeup and a back up bottle of shampoo...FIVE PERCENT BACK! I'm working on squashing this little voice! 2. 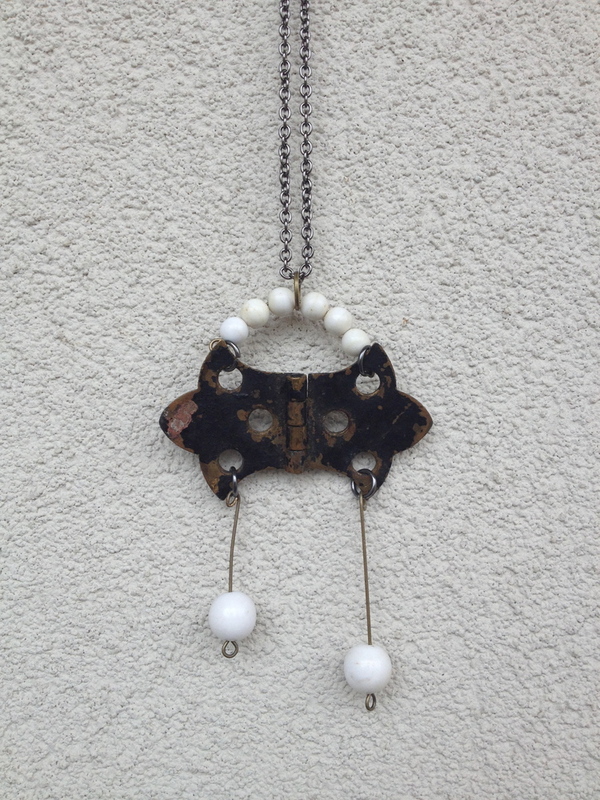 My cousin's girlfriend Emily has started selling jewelry via her site Consider the Wldflwrs. 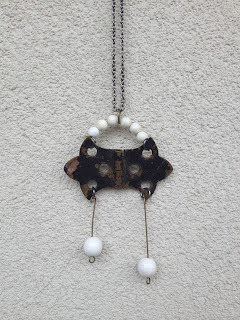 Not only is the jewelry gorgeous, unique, (see above) and affordable, but 35% of the proceeds of every sale is donated to a non-profit ministry. 3. 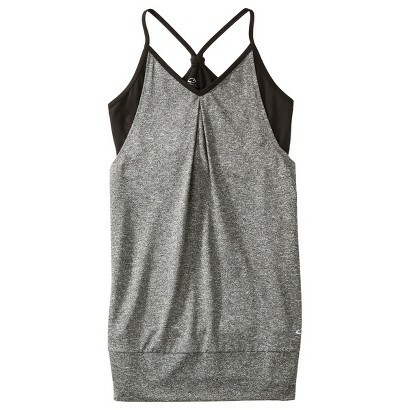 Speaking of Target, in last weekend's shopping spree, I bought this workout tank. 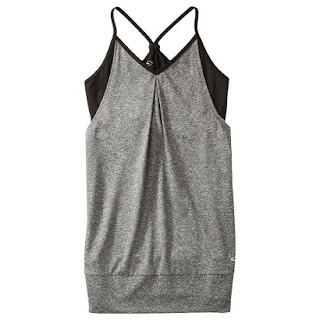 It's Lululemon-esque in its design and materials, but a fraction of the price. I love the way it fits and looks on, and now I want one in every color! 4. Too hot to eat real food? Good thing it's never too hot for ice cream! Marianna recently made my Moose Tracks Ice Cream Cake and said, "Made this for my boyfriend's birthday and it was a huge success!" You can always count on success when peanut butter, fudge, and ice cream are involved! I love roasted beets a whole lot, but until recently I left that to the restaurants. I know it wasn’t necessarily hard, but for whatever reason I was too intimidated (or lazy) to roast them at home. As it turns out, I had no reason to be intimidated or lazy, because it really is simple! My first foray into roasted beets resulted in a salad combined with greens, asparagus (cooked), feta, and balsamic vinaigrette. This beet salad was actually a creation of my friend Maggie, but when she brought it to serve with dinner at our house, I decided it was too gorgeous to go unphotographed and unblogged! How do you make roasted beets even better? You soak them in balsamic after roasting! The beets made this salad, although the other additions (goat cheese and pecans) taste as pretty as they look! 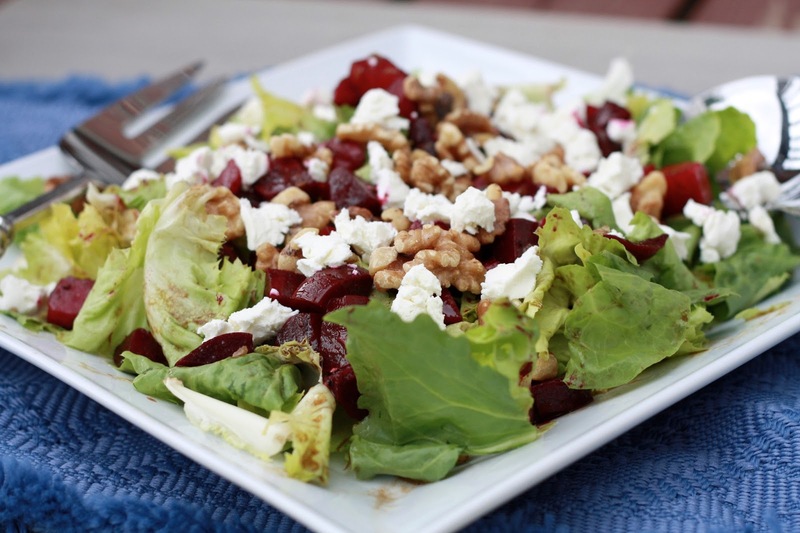 Overcome those beet-roasting aversions, starting with this salad! 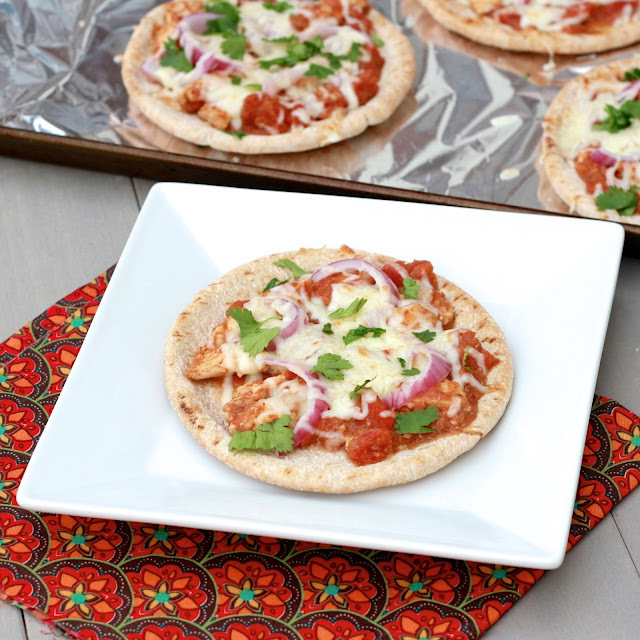 I find it humorous that I have yet to try my hand at chicken tikka masala, and yet here I am making chicken tikka pizzas. 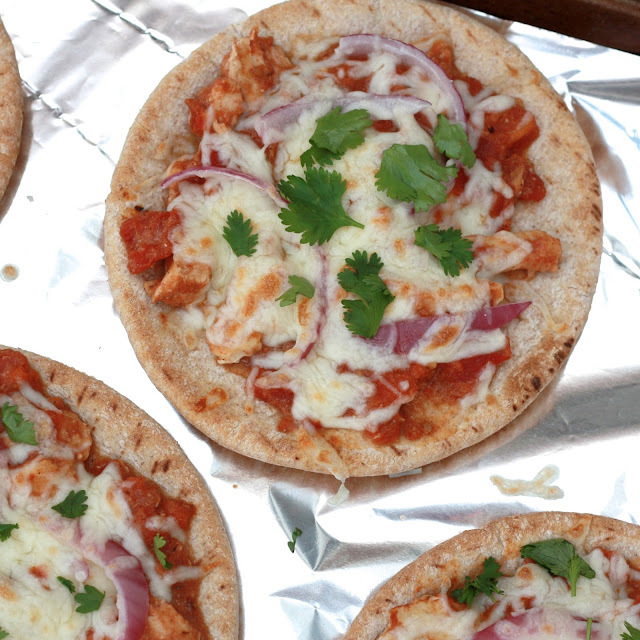 I must say, if these pita pizzas are any indication of the real thing, I had better get making it sooner than later! We loved these personal-sized pizzas, fashioned on pita bread and topped with the chicken tomato mixture. If garam masala hasn’t found its way into your spice drawer, this would be a good reason to introduce it (plus once you buy it, you can use it for Bombay Sloppy Joes and Chickpea Curry, two of my favorites!). A meal is particularly good when it isn’t super complicated. This one came together on a busy Monday night after we’d spent time in traffic and then picking up groceries. I was on the verge of hangry (hungry + angry), but these were fast enough that we were sitting down to dinner before I reached my breaking point! Please tell me I’m not the only one who experiences severe hanger! 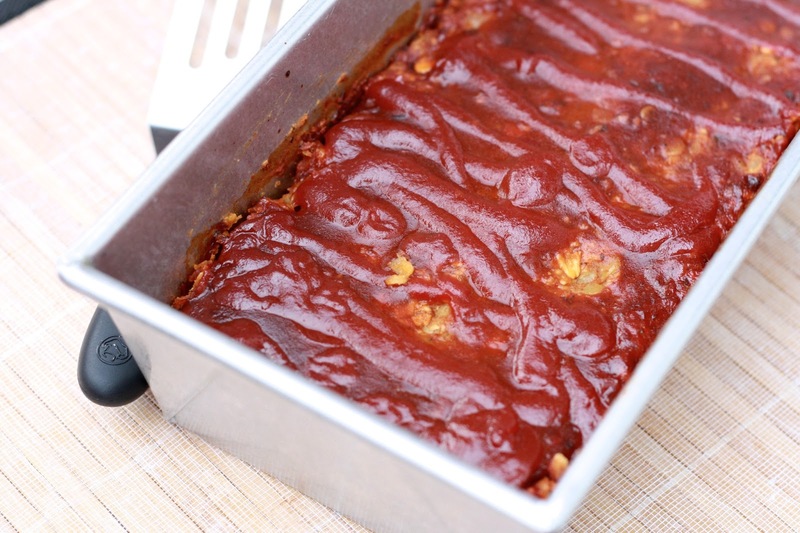 Growing up, my brother’s favorite meal was meatloaf. I remember him requesting it frequently and all of us digging in to the ketchup-slathered entrée. I wasn’t particularly opposed to meatloaf, but I wouldn’t have claimed it as my favorite either. 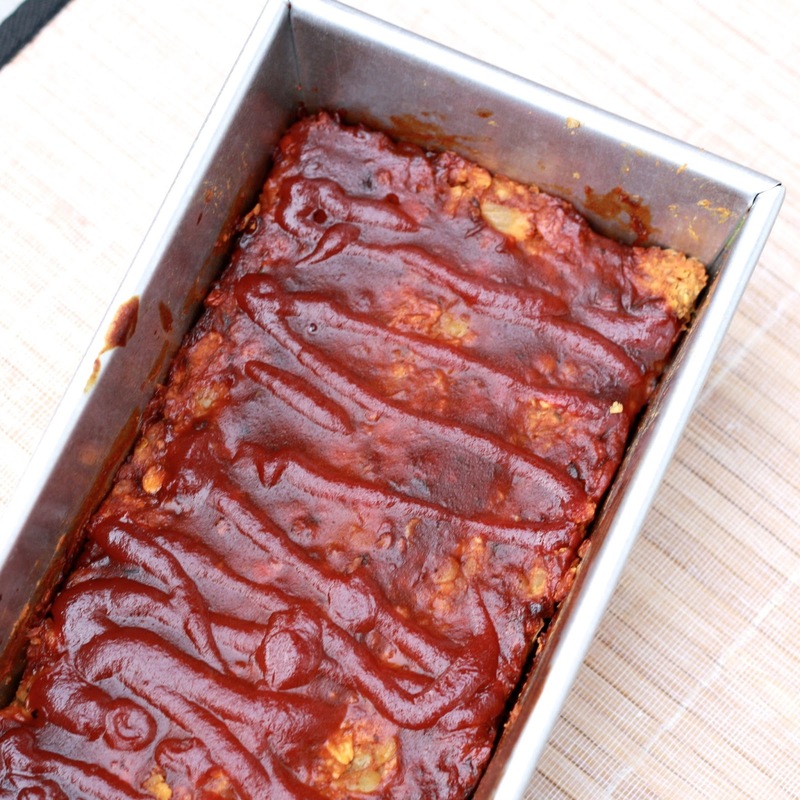 This is a far cry from traditional meatloaf, but I liked this variation way more than I thought I would. Then again, I haven’t met a lentil recipe I haven’t loved, so I guess I shouldn’t be too surprised. My favorite part was, just like the olden days, the ketchup-glazed topping. This was even better, though, thanks to some spicy BBQ sauce mixed in with the ketchup. 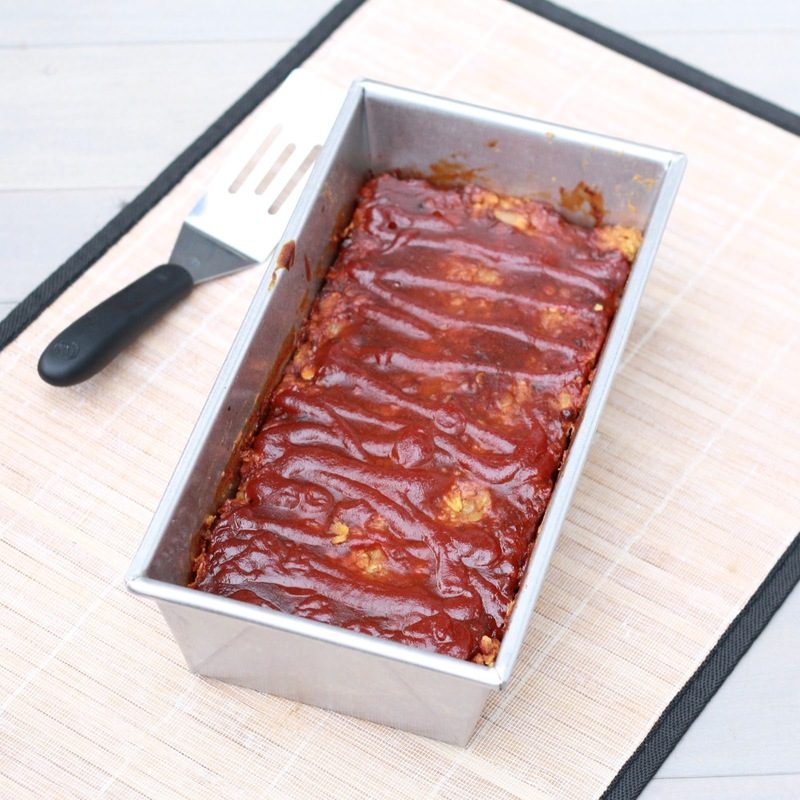 The loaf itself is full of enough spices to provide plenty of flavor, but definitely add your favorite BBQ sauce to further transform the dish. I intended to take pictures of one of the leftover slices on a plate, rather than just the intact loaf, but four of us ended up finishing this off before I even had a chance! I have nothing against a meaty meatloaf, but lentils are super cheap and super nutritious…give this a go! I’ve always been under the impression that shortbread cookies are dry and crumbly. This makes them sound unappealing, but don’t get me wrong—there’s a time and a place for shortbread. However, I wasn’t at all disappointed to discover that these had all the buttery goodness one seeks in a shortbread cookie while still maintaining a bit of chew. 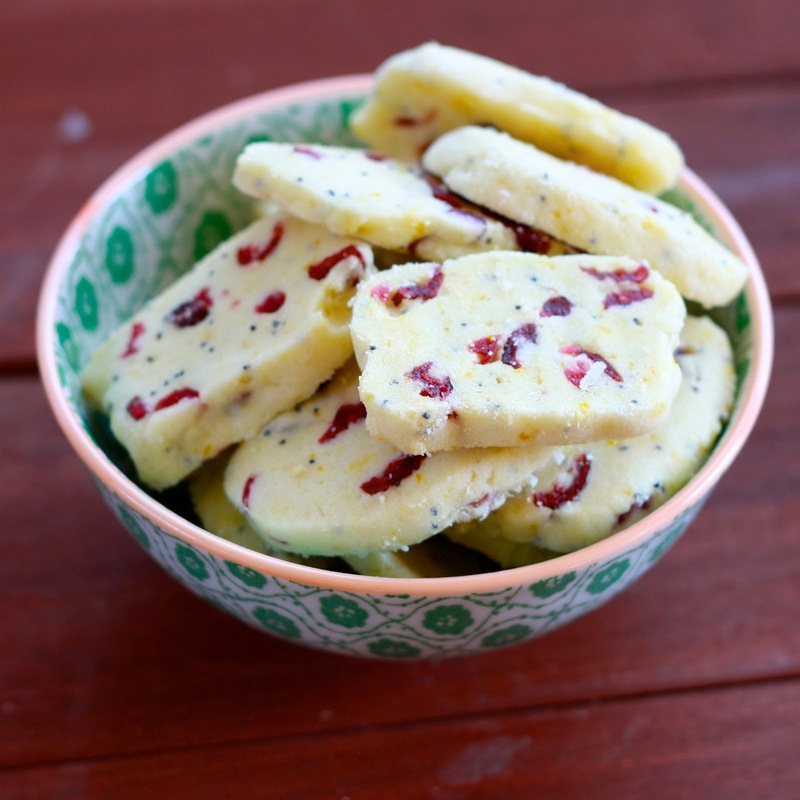 The orange zest, dried cranberries, and poppyseeds only accentuate the classic shortbread taste, and you could certainly play around with other fruits or flavorings. Next time I’d love to try chopped almonds and coconut! They’re great with your coffee or tea in the morning, but decadent enough to serve for dessert! 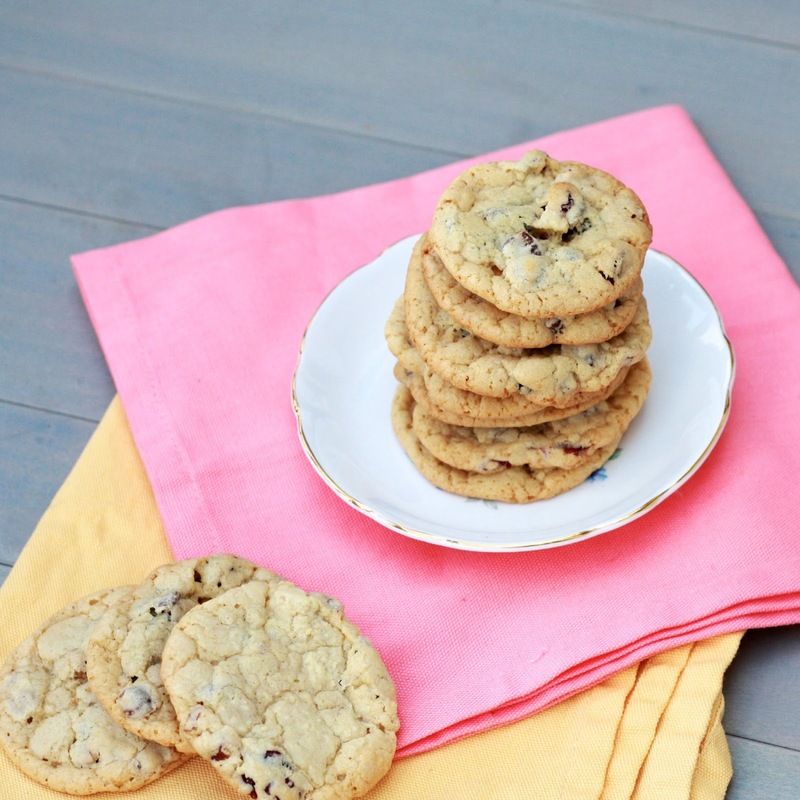 This recipe is from the July 2010 issue of Real Simple. 2010. As in, three years ago. In the age of the Internet, this isn’t a big deal, since we can now look up recipes from decades ago. However, I ripped this recipe out of the magazine three years ago and have been toting it around in my recipe files ever since! Considering I flip through my files once a week when I do my menu-planning, it’s rather amazing how many times I looked at this recipe before I finally pulled it from the stack and made it! 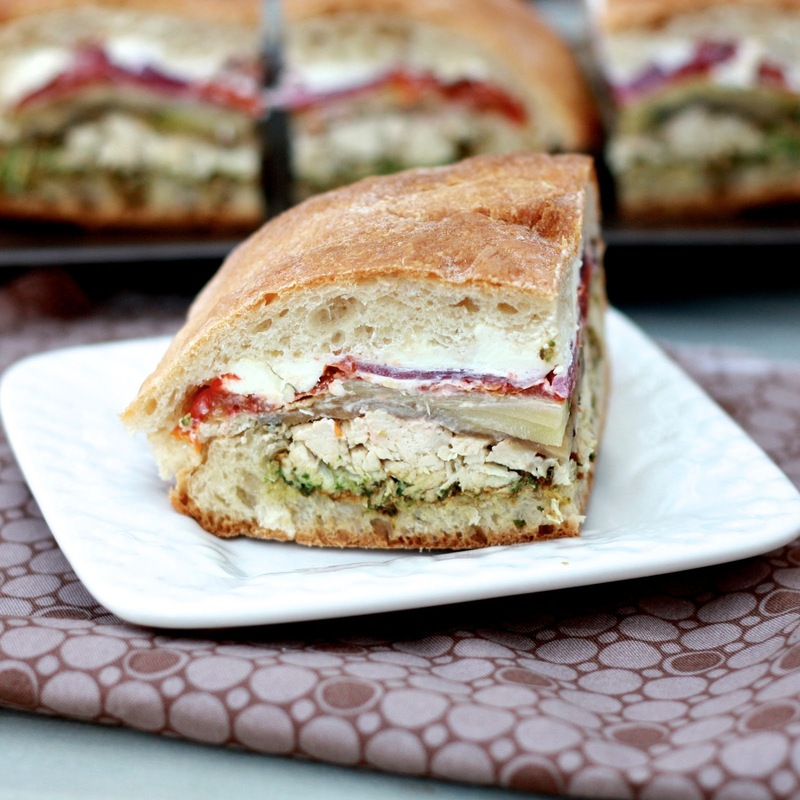 Though these sandwiches are worth the wait, I’m kicking myself for not making them years ago. Eggplant, pan-fried in panko breadcrumbs, serves as the bread in these, which are sandwiched around tomato, spinach (or romaine), basil, and goat cheese. 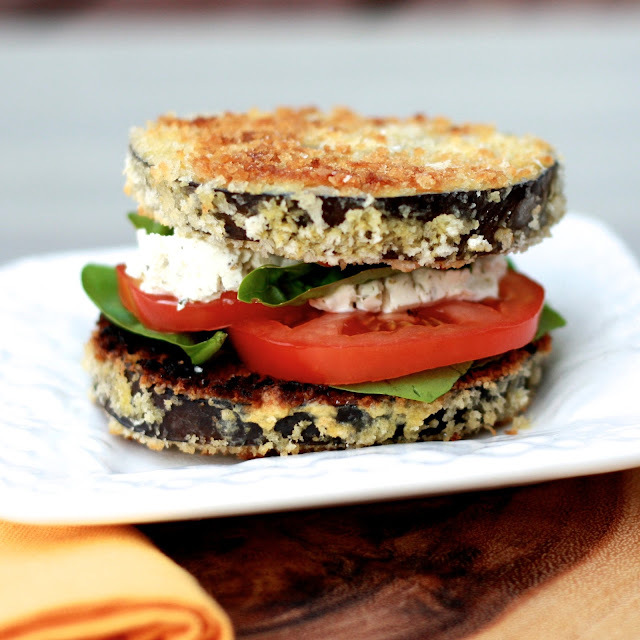 You’re best off using a knife and fork to eat these, and I don’t recommend trying to take them on a picnic, but I’m pretty sure you’ll be delighted by this unique take on sandwiches! 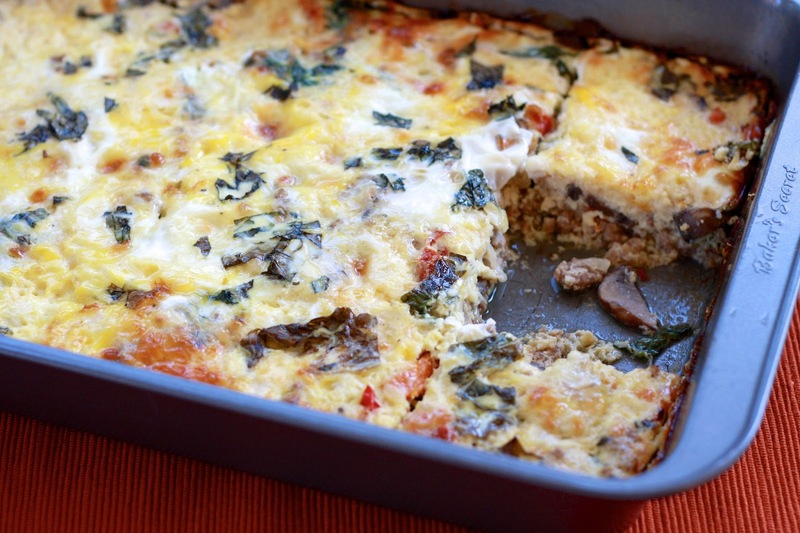 Egg casseroles are the quintessential brunch food. Most can be made the night ahead of time, they’re endlessly versatile, and I find them to generally be crowd-pleasers. 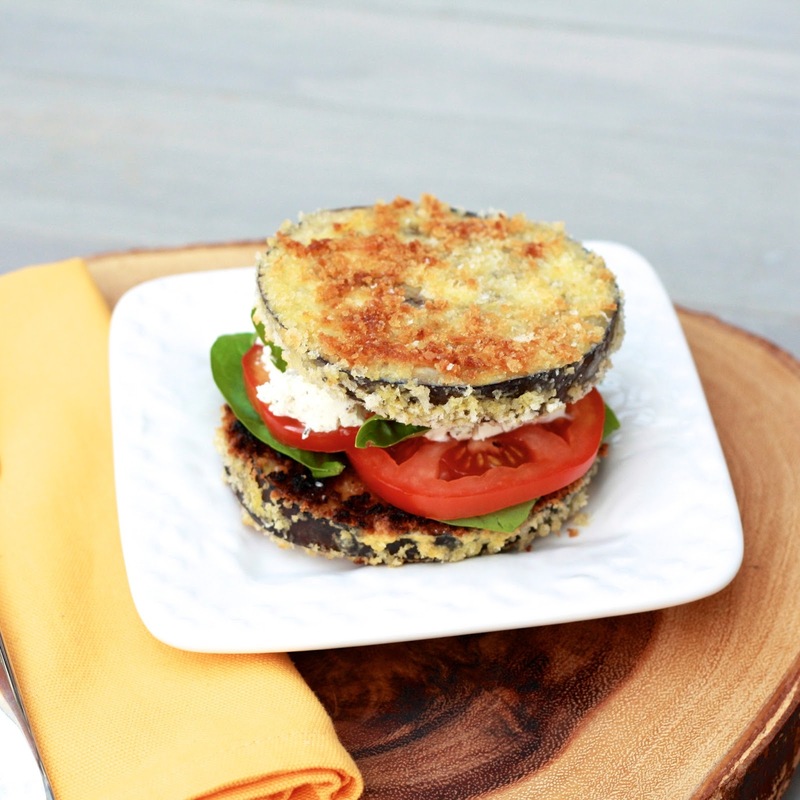 Served with fruit and some coffee cake or muffins, you’ve got yourself a filling meal that doesn’t require a ton of effort but still manages to impress. Not the brunching type? Make an egg casserole and heat up the leftovers for breakfast all week. 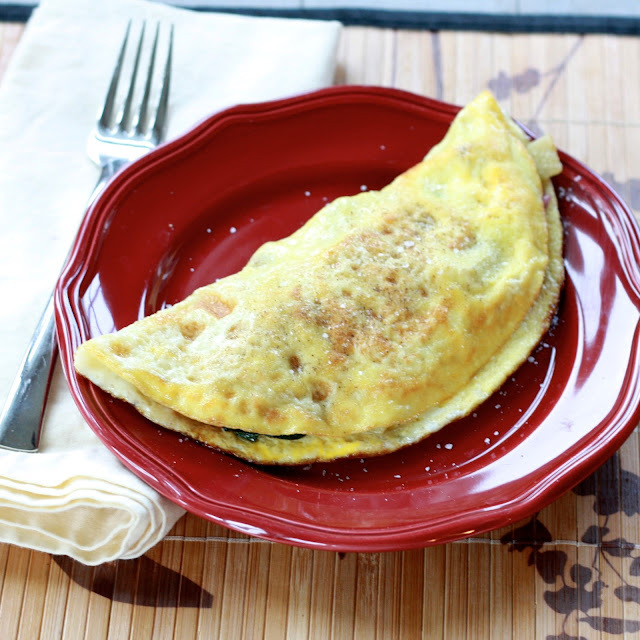 IT’s even quicker than scrambling or frying a few eggs while you try to pack your lunch and rush out the door. 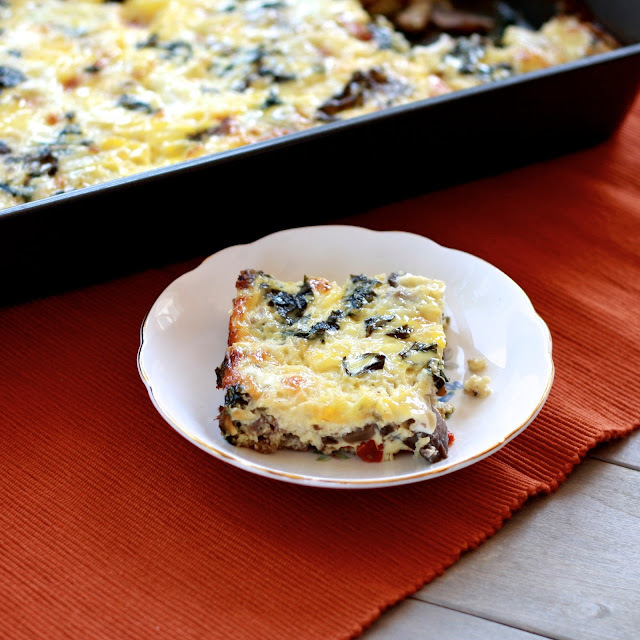 This egg casserole became a favorite in our house, when I served it to my visiting grandparents during their recent visit. 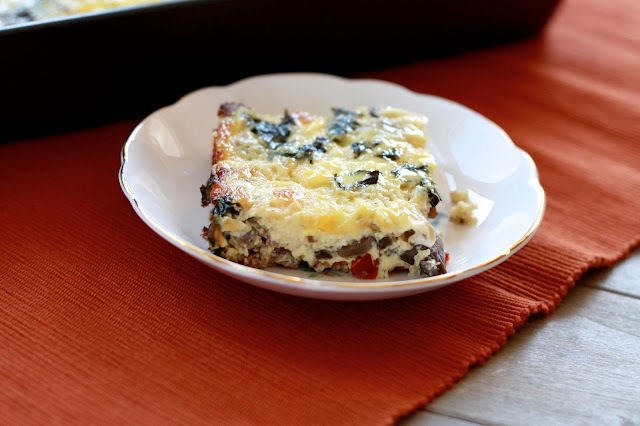 What started as a pretty basic egg dish morphed into something extraordinary with the additions of mushrooms, spinach, and basil, thrown in there to partner with the sun-dried tomatoes, mozzarella, and pork sausage. I lightened it up a bit, using a combination of milk and half & half, vs. half & half and cream, and you never would’ve guessed! Put this on your next brunch menu or make breakfast a little more interesting this week with this cheesy baked egg dish! 1. From Worry to Work, courtesy of our rather awesome pastor. A snippet: "While it's prudent to prepare for the future, it's too easy for healthy planning to slip into worry. Then we find ourselves living in the future, consumed with what will be instead of what is. We miss life in the present tense because we're rushing ahead to live in the future." 2. I'm not a sparkling water fan at all. Ryan loves the stuff so I buy it for him occasionally and always take a sip thinking I'll have changed my mind. Nope. This Sparkling Ice, on the other hand? All over it. I used to always get it when flying from Seattle to St. Louis, because it's sold in the airport cafe where I always grab breakfast. I recently discovered it at a local grocery store and now I can't resist treating myself to a bottle every once and awhile. I'm partial to the kiwi strawberry, but haven't tried many of the varieties that you see above...dying to find the coconut pineapple! 3. We might be a little behind the curve here (okay, a lot behind the curve), but we're finally hooked on Downton Abbey. It took me a good four episodes to get into it (I couldn't keep the characters straight at first! ), but now we're flying through the seasons. The real shocker is that I'm watching completely distraction-free. 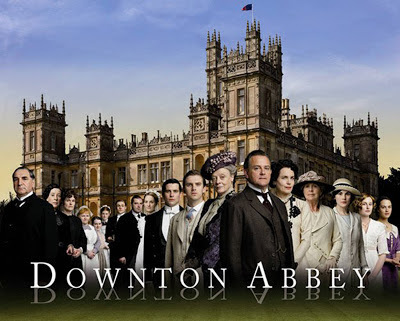 I almost always multitask while watching TV or movies, but this show forces me to sit still and pay attention...which is admittedly good for me! 4. 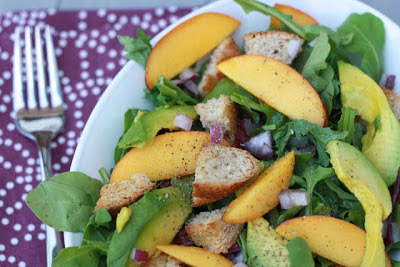 Do yourself a favor and make this peach, avocado, arugula panzanella salad while peaches are still in season! I used to think I was a morning person, but over the past few years I’ve come to really appreciate my sleep. The 5 am wakeup calls Monday through Friday get old, fast, and I find myself fighting my way out of sleep more than I used to. Recently, I was in the middle of a dream that a giant (anaconda-sized!) snake had suddenly entered (I blame snake world!). As we encountered the snake, my alarm went off. Needless to say, that was one morning I was more than willing to get up! Another thing that helps rouse me out of bed? 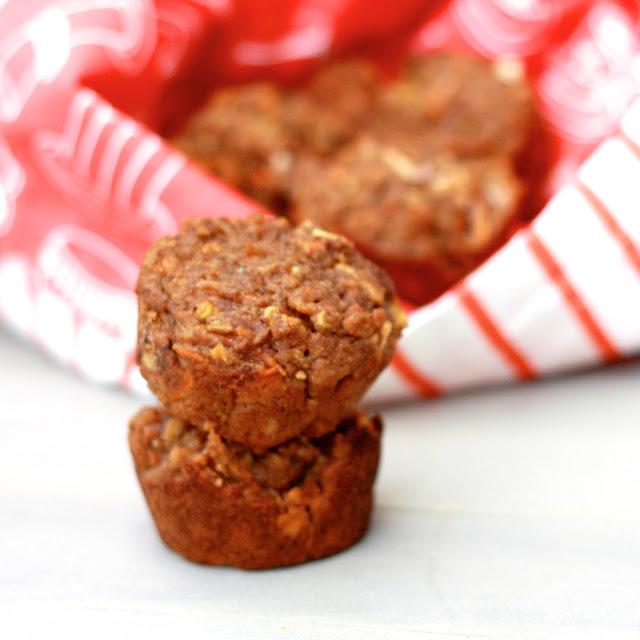 Awesome muffins like these! I kid you not, Ryan and I had to divide the batch and keep track of our own to ensure fairness in consumption…that’s how much we both liked them! 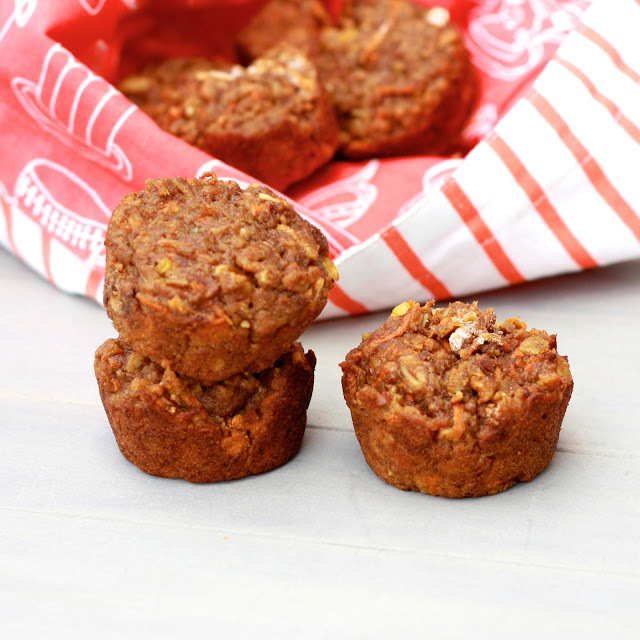 I savored each one of mine, full of wholesome ingredients like flaxseed, whole-wheat flour, and oats, and sweetened by apple butter and carrots. If you’ve got to get up early, at least make sure there’s something worth waking up for!